Hannah moved to Rapid City in 2010 for a ministry program called Masters Commission after being raised in Lake of the Ozarks, Missouri. She met her husband at this program and the two of them were asked to assist in a new church plant called Journey Church where they now serve as bi-vocational Youth and Young Adult pastors. Hannah’s many hobbies and passions that have led her down different career paths as well as ministry over the years. For a season, Hannah worked in the Rapid City School District as a Paraprofessional in the Deaf Education Department after taking a few sign language courses. From there she took classes in Braille to help develop the classroom and reading materials for a deafblind student in the school district. Hannah also has dabbled in event planning, has a passion for singing and serves on her church’s worship team. Hannah started at Keller Williams as the part-time Director of First Impressions in 2017. 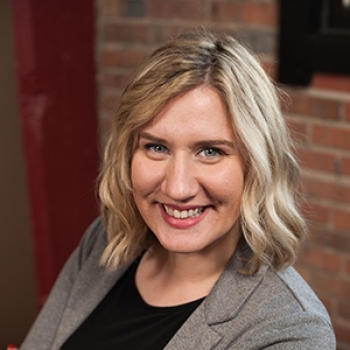 Seeing an opportunity for growth, Hannah joined the commercial team in August 2018 as Operations Coordinator leveraging her natural administrative talents to assist agents and clients through the transaction process.